Food prices in Turkey have been on a rapid ascent since the Lira's quick depreciation this past summer. 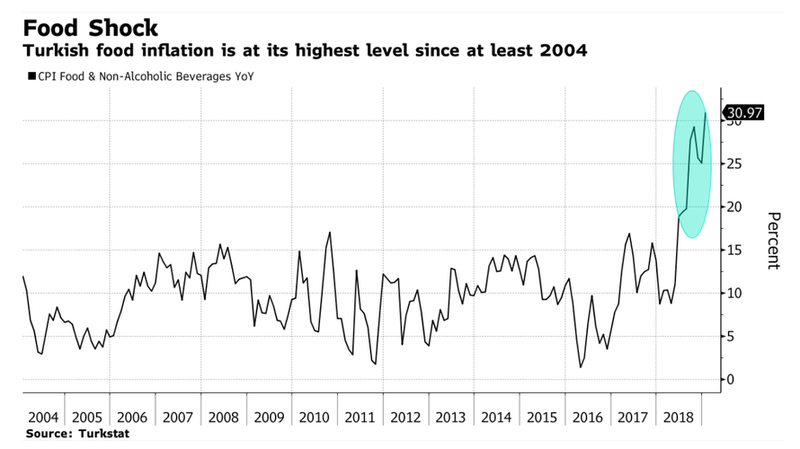 The rise in prices is not only a result of the currency's depreciation, but is also a result of price gouging that has become a self-fulfilling prophecy, feeding on itself, over the last 6 months. According to Bloomberg, the price of eggplants, cucumbers and tomatoes in Turkey has jumped 81%, 53% and 39% on a monthly basis, respectively. Food inflation in Turkey is at 31% annualized. The Turkish government's rhetoric toward vendors raising prices has been strong, labeling price gougers "traitors" and "terrorists". But this rhetoric isn't working, so President Erdogan's regime is backing up their threats with fines. 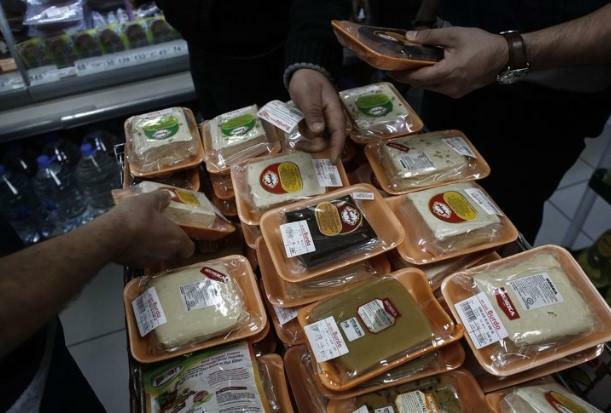 The Turkish government is now issuing fines after raiding wholesale food markets in five provinces on February 6 and uncovering exorbitant price increases of up to 800%. The administration is looking to cut out middlemen by purchasing vegetables directly from farmers and selling them at lower prices in major cities. Government run vendor tents are up and running at numerous locations as of Monday and sales will soon be expanded to include cleaning products. In addition to the depreciation of the Lira, flash floods in Antalya have also contributed to food shortages, forcing prices upward. Despite this, Treasury and Finance Minister Berat Albayrak has dismissed the idea that weather is in any way to blame. Municipal elections in Turkey are just two months away and the fight against inflation will be the hallmark issue. High food costs have disproportionately affected poorer sections of the 82 million people that live in Turkey - many of whom are traditionally supporters of the President's party. In taking the fight to local areas and warehouses, President Erdogan is trying to make a statement that he is going to fight inflation with the same vigor that the country has used to defend itself militarily in the past.